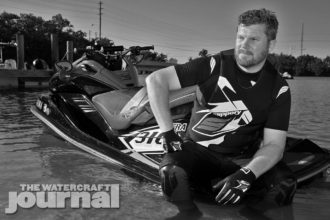 Stage Fright: RIVA Racing's Stage III-Equipped Yamaha FZR | The Watercraft Journal | the best resource for JetSki, WaveRunner, and SeaDoo enthusiasts and most popular Personal WaterCraft site in the world! 1. having or showing the capacity to become or develop into something in the future. When first introduced to the FZR back in late 2013, we knew that Yamaha had something on its hands. 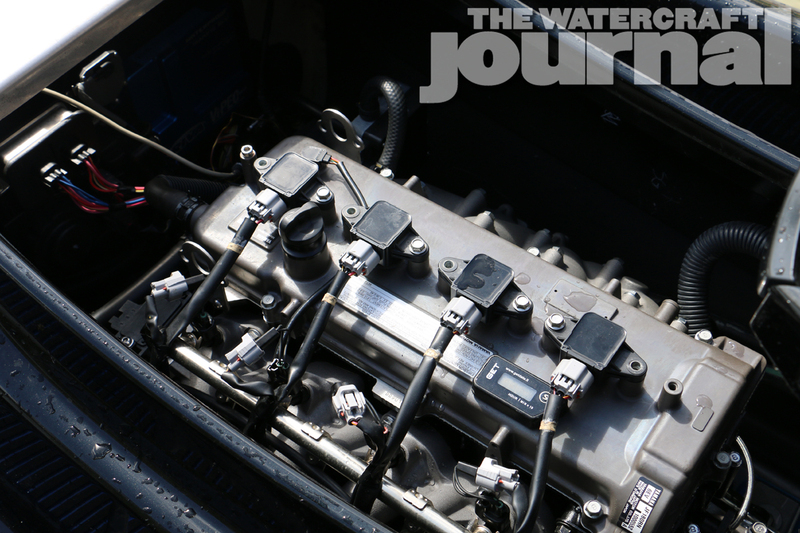 Even in its tamed-for-the-showroom condition, the SVHO (Super Vortex High Output) 1,812cc centrifugally-supercharged 4-stroke four-cylinder still delivers a dyno-confirmed just-shy-of-260 horsepower. Although that might sound meek compared to Kawasaki’s growling 310HP output, the SVHO effectively uses every pony to its utmost. 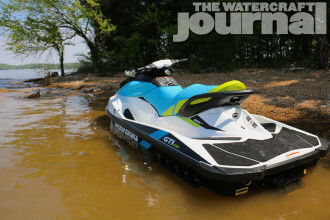 Although the unit itself is a 2014 model, and thereby slightly heavier than the ’15 model equipped with Yamaha’s NanoXcel2 hull and deck material, the test mule is extraordinarily fast given its deceptive stock look. 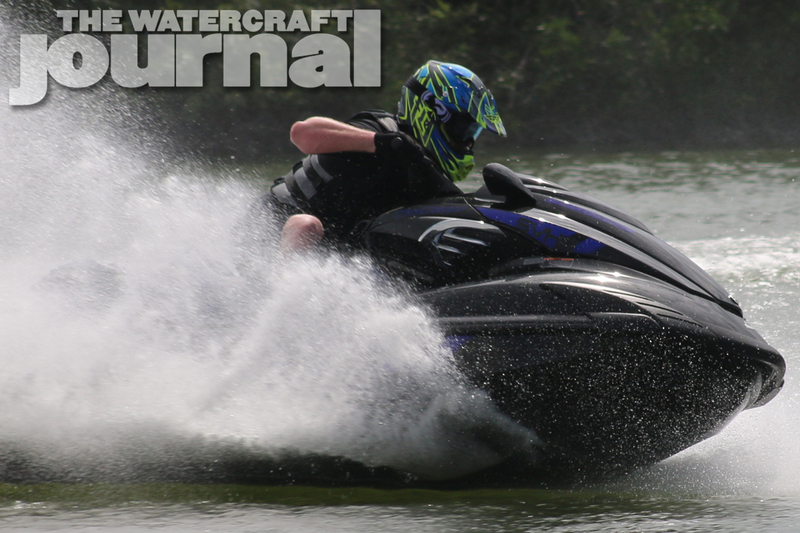 Yet, even aboard the as stock craft one can feel a degree of untapped potential surging beneath its seat. 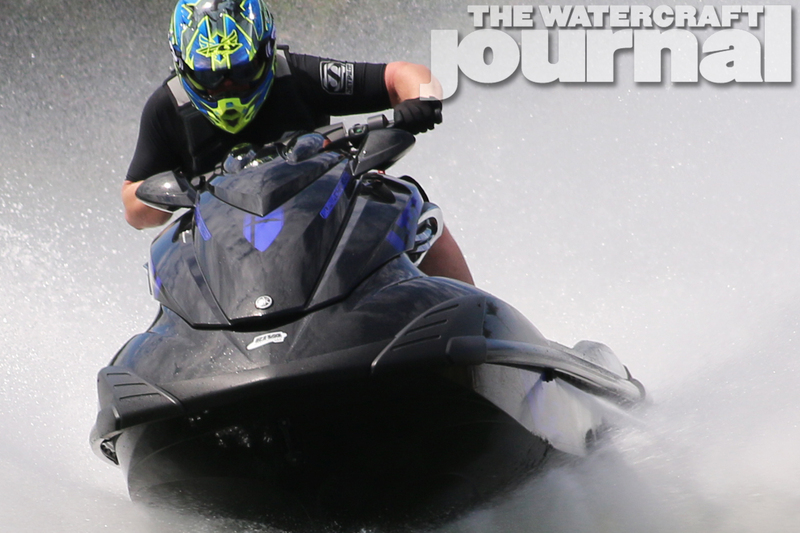 Even with last year’s swathe of FZR-mounted racers snatching up as many National titles as possible is a testament to the SVHO’s latent power, there’s still much to be mined. 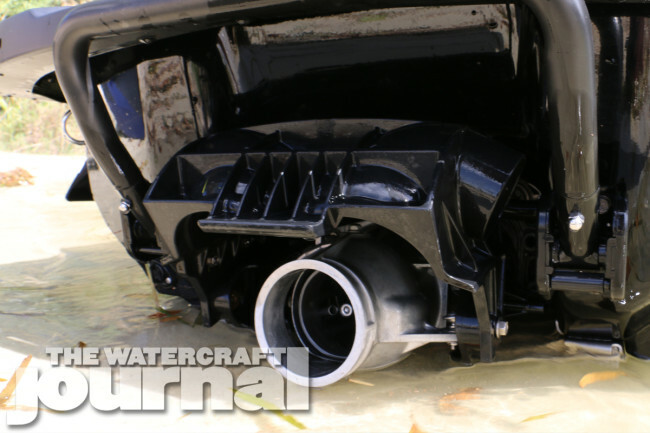 That is why RIVA Racing’s research and development branch has continued laboring to optimize their performance packages to unearth the most out of customers’ WaveRunners. 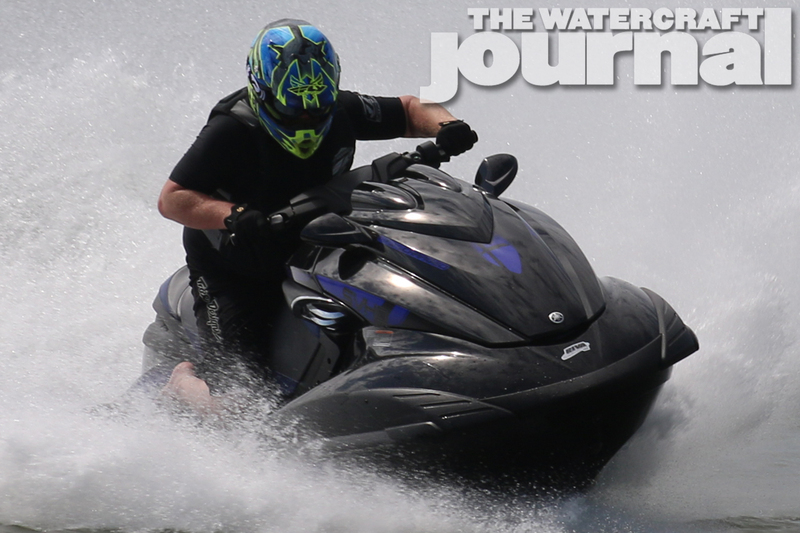 The result are a series of “Stages” providing enthusiasts levels of excitement. The FZR we were given to ride this afternoon was not the final product, but a continued working platform. Externally, the 2014 model FZR SVHO was equipped with a grocer’s list of performance components including RIVA’s Power Filter, intake manifold upgrade kit, 1000cc injector set, 3-bar map sensor, a RIVA/Vi-PEC V88R3 ECU, F2 SC impeller, Gen 2 Powercooler, HKS blow off valve, billet fuel rail, fuel pressure regulator, free flow exhaust, ride plate, Solas 13/20 Concord prop, and a prototype pump cone. Beneath the saddle, the RIVA Stage III FZR featured almost exclusively bolt-on improvements: RIVA’s Power Filter, intake manifold upgrade kit, 1000cc injector set, 3-bar map sensor, a RIVA/Vi-PEC V88R3 ECU, F2 SC impeller, Gen 2 Powercooler, HKS blow off valve, billet fuel rail and fuel pressure regulator. 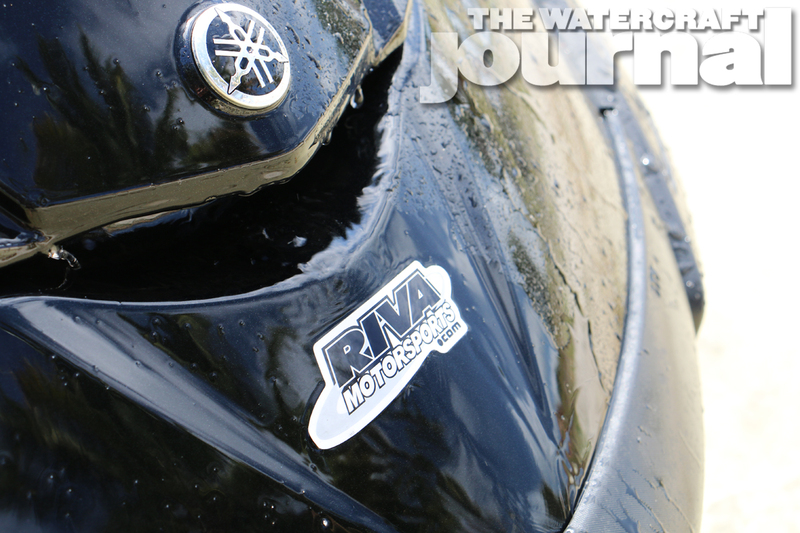 From the outside, the FZR was almost wholly indistinguishable from any model sitting on RIVA Motorsports’ Pompano Beach showroom floor. 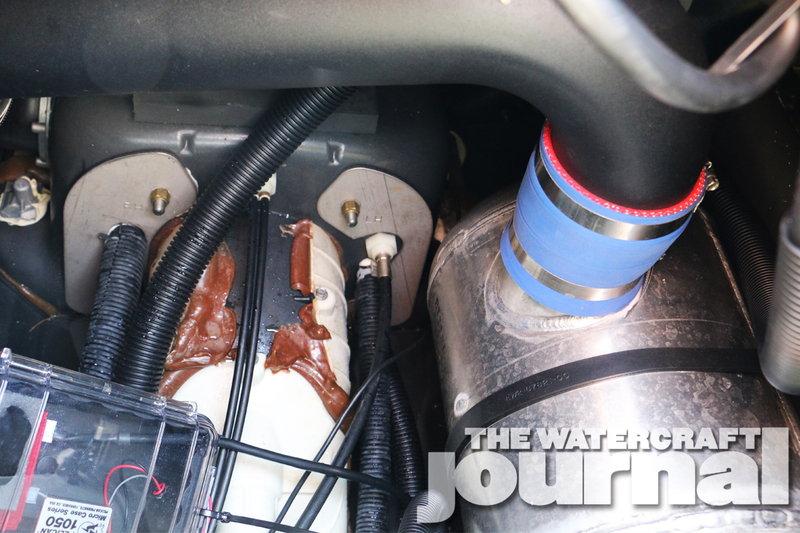 The stock sponsons, steering and nozzle were clearly visible. All that whispered that something was amiss were the presence of a GPS mount on the glovebox door and a lone RIVA decal on the nose. No external exhaust outlet, no two-piece sponson kit or aftermarket handlebar grips. Only the subtle burble resonating from the free flow exhaust hinted at what RIVA’s secret skunkworks had in store for us this day. Although RIVA is currently testing impellers and pump combinations to best optimize the package, the primary purpose of the test unit we rode was to develop the engine/ignition portion of RIVA’s Stage III kit for the FZ SVHO. Currently, the setup recommends running this package on 100-plus-octane fuel. 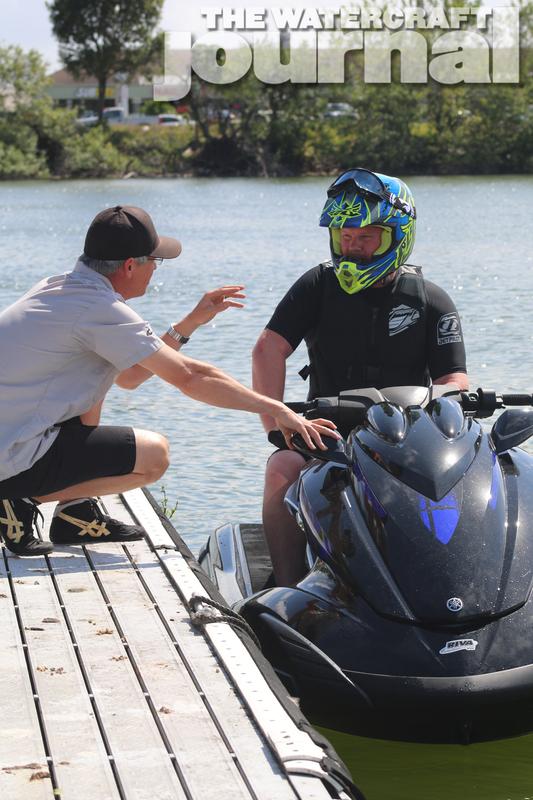 In spending the day with RIVA’ s R&D Mark Sheffield, we were made privy to a lot of the process poured into creating not only the ultimate performance package, but in the many hours spent water testing to optimize fuel tables and ignition timing on the Vi-PEC base maps. 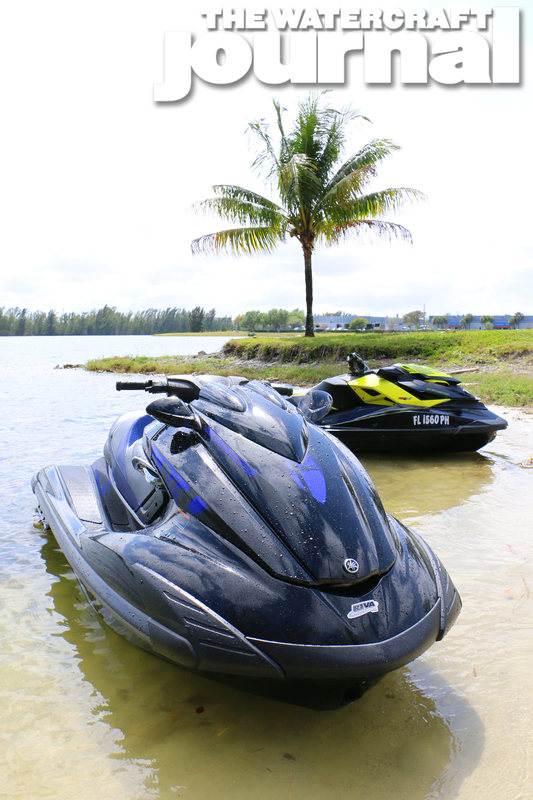 Above left: In addition to the FZR, RIVA was hard at work on a Sea-Doo Vi-PEC test tune. Above center: Sheffield is one of the industry’s best minds, able to precisely isolate inconsistencies in air/fuel ratios and adjust accordingly. Above right: Acceleration achieved from the yet-to-be-complete Stage III kit is staggering, with 0-to-60 times averaging 2.75-seconds. 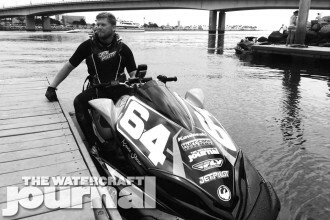 “With each map, we first start with the engine on our Dyno. The benefit of having the Dyno at our facility is we can pinpoint where horsepower is being made with the engines, as well as fully monitoring all aspects of the engine while developing these tunes,” Sheffield explained. “When building these tunes we first verify target air/fuel ratios throughout the entire RPM range of the tune, making adjustments to the fuel tables as necessary. Once we reached targeted air/fuel values, we then focus on ignition timing. Again, we slowly go through the entire RPM range of the tune, monitoring ignition timing versus horsepower produced. 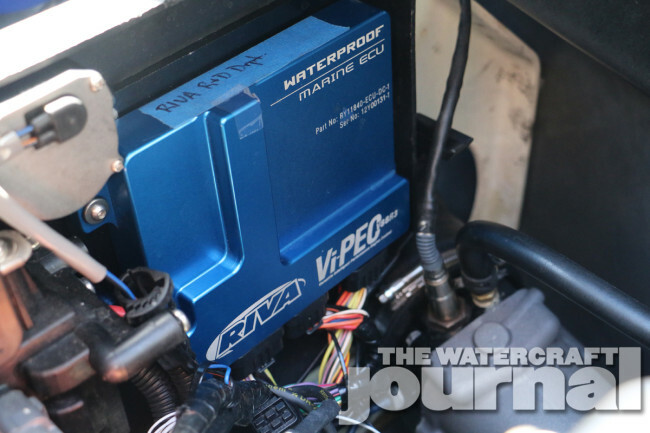 With all of the advanced capabilities latent to RIVA’s new RIVA/Vi-PEC V88R3 ECU, Sheffield and team are hard at work not only optimizing the ideal tune to match the current selection of performance parts within the Stage III kit, but additional tunes to cooperate with a wide variety of additional and customized packages. 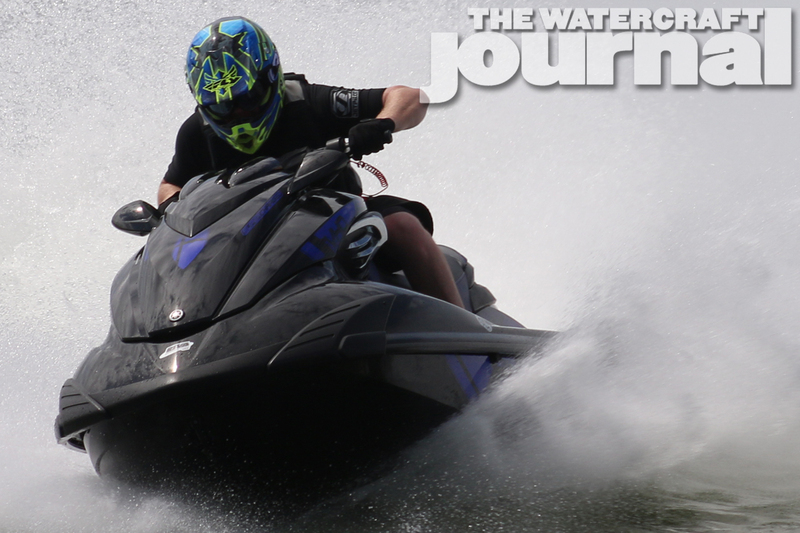 “Once this process is complete, we then transfer the hardware and the file to the watercraft. Once installed we go through a series of ‘cold starts.’ This is to ensure proper starting and fueling when the engine is under colder-than-normal conditions. We’ll let it sit in a cold environment overnight, then proceed with cold starts the next morning. Once the cold starts process is complete, it’s time to hit the water. “When water testing, we go through the entire RPM range of the tune in steps; first, running at idle for a few minutes, then 2000 RPM, 2500, 3000 RPM and so on, (holding the RPM for a couple minutes at each point) until we go through the RPM range of the tune. 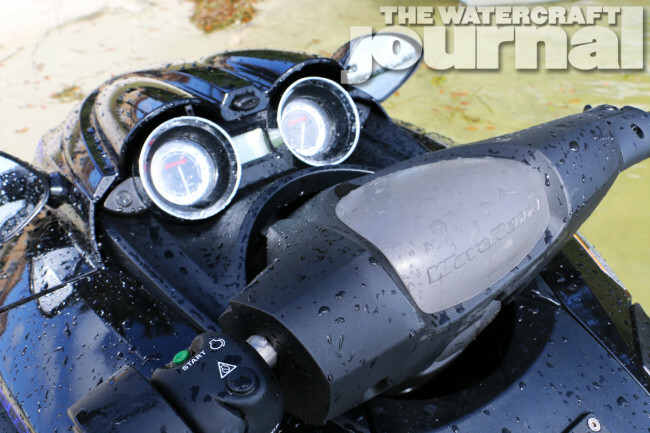 The test rider will monitor the engine data live as well as being recorded on the Vi-PEC data logging feature. The power delivery throughout the torque band is impressive and will continue pulling in a linear arc as it reaches its growling crescendo. 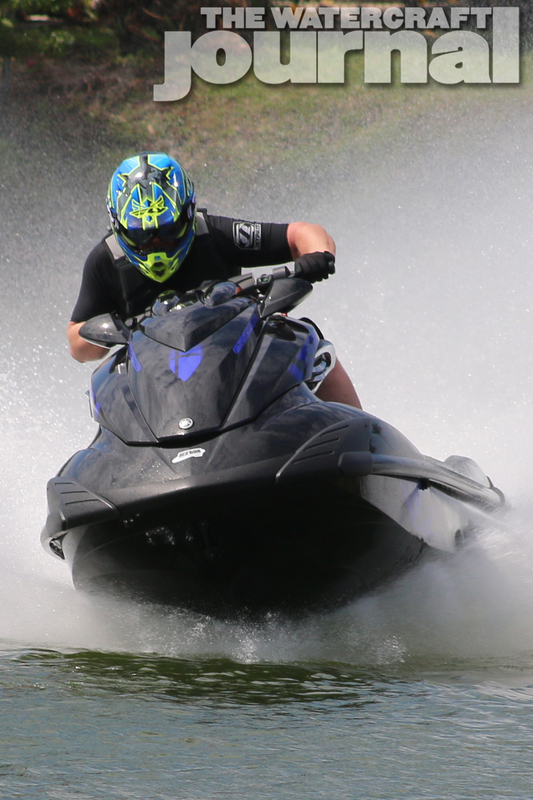 The power provided by the current package overpowers the stock sponsons through the apex, requiring the use of RIVA’s Pro Series sponsons. 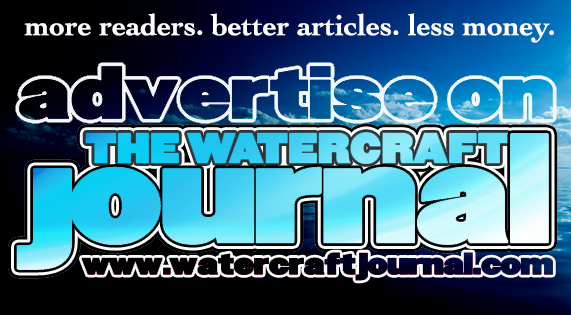 “After each session, the data log is downloaded and carefully reviewed. Adjustments are made if necessary to optimize performance. Once initial water testing is complete and target values are verified, we go through a series of endurance testing and heat things up. Again, by monitoring data and reviewing data logs provided by the Vi-PEC, we establish limits and parameters to create safety margins with each tune. “We log about 20 hours of endurance testing before any of these files are sent out for field testing. Files are sent to certain racers and dealers in different locations around the world. Using the customer’s Vi-PEC data logs, we can adjust and optimize tunes for these varying conditions. This way we have this information to support our customers in other parts of the world with different environmental conditions than ours. Once we complete this step, at that time we are ready to release this base map to the public. Above left: The lack of a through-hull exhaust outlet or aftermarket nozzle, and the presence of the stock reverse bucket adds to the Stage III’s “sleeper” look. Above right: We enjoyed the absence of revealing handling components like a billet steering neck or aftermarket bars too. We loved the visual of burying the factory speedo well past the 80 miles per hour mark. 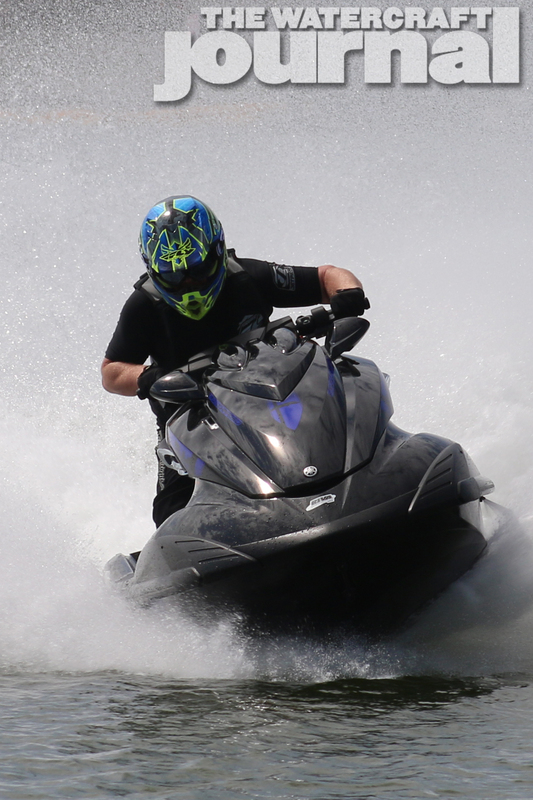 Even piloting the FZR in its current mid-testing process, the performance is nothing to sneeze at. Acceleration and mid-range pull is incredibly strong with 0-60 times averaging right at 2.75 seconds. We topped off at a maximum of 84.5mph, which Sheffield admitted was “lower than average.” Considering we outweighed Sheffield by 30 pounds, we kinda knew the reason why. Again, this machine was only a test mule for RIVA’s research and development team and only illustrated a sample of things to come from RIVA Racing. 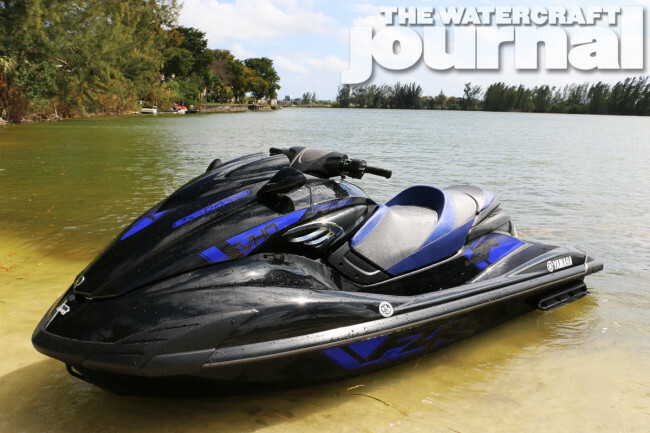 Once finalized with the proper tune and pump/impeller configuration, and applied to the lighter 2015 FZR SVHO WaveRunner, the results are certain to impress.